Lauren’s Hope began with a random act of kindness when CEO and Founder, LeAnn Carlson, made the very first interchangeable, stylish medical ID for Lauren, a Kansas City teen with Type 1 Diabetes. We named the company Lauren’s Hope For a Cure, which we eventually shortened to Lauren’s Hope. More than half a million customers later, Lauren’s Hope offers medical ID jewelry for adults and kids worldwide with all manner of medical conditions. 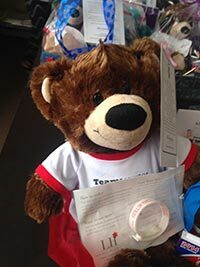 We still hope for a cure for Type 1, and we actively stay true to our core mission of service to others by contributing financial, product, and service donations to Type 1 organizations and to dozens more outstanding charities that work toward finding cures, providing resources, and supporting people living with a broad range of conditions every day.